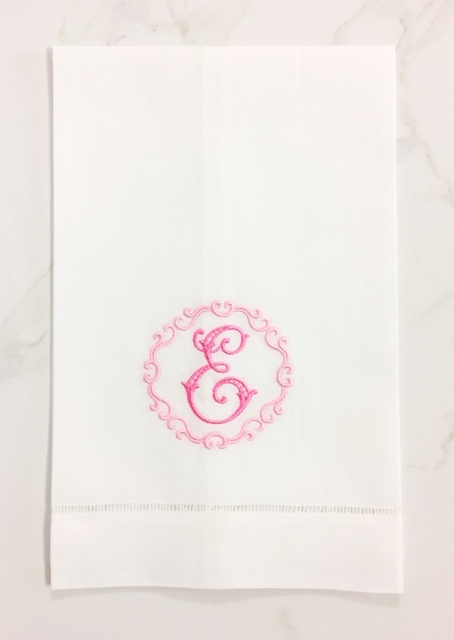 Monogrammed Hemstitch Linen Guest Towels with ornate cutwork style single letter and decorative circle border. Guest towel measures 14" x 22". Guest towel pairs & sets arrive in our Signature Gift Box with ribbon.